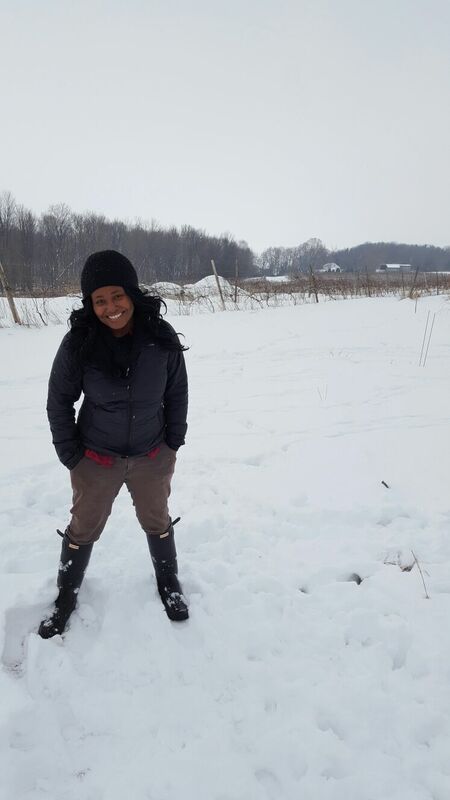 Krista Scruggs made her first trip to Vermont two years ago to continue her self-education in wine growing and winemaking. She was completing a stint as a vineyard and winery intern in Texas, with a full-time opportunity in the Hill Country region of that state on the near horizon. Then she fell victim to the siren song of the Green Mountains. She arrived as what the locals refer to as a “flat-lander” but she is now quickly rising to become an alpine winemaker. A California native, Krista was traveling with her Texas guide, Dan McLaughlin of Robert Clay Vineyards, and they’d come to gather insight from the organic and biodynamic viticulture path that la garagista had been forging up north. They could do harvest in Vermont, because it begins well after all of the Texas fruit was off the vines and the wines were in tanks. It was a revelation to experience the diurnal temperature differences between day and night, hauling fruit in the big hot western banana belt valley by day, then crushing by foot on a cool eastern Piedmont hilltop in the evening. You mean, you can just let the fruit sit outside overnight here without rotting? Ayup…38 Fahrenheit is just fine under a crisp clear autumn sky…and the wasps are sluggish in the morning. The contrasts with Texas Hill Country and experiences of burly ferment completion, in just a matter of days there, were compelling. Krista realized the harvest season offset offered the potential to engage in two very different wine projects — without needing to be in two places at once. Personalities clicked among the crew, and at the time, la garagista right-hand wine woman Christina Warnstedt was wrapping up her tenure in order to head for new adventures. Because Krista’s interest was engaged and earnest, she was offered an opportunity to commit to Vermont and she jumped into the slot. Like many folks in her age bracket (and like many Vermonters) Krista still has a side hustle. 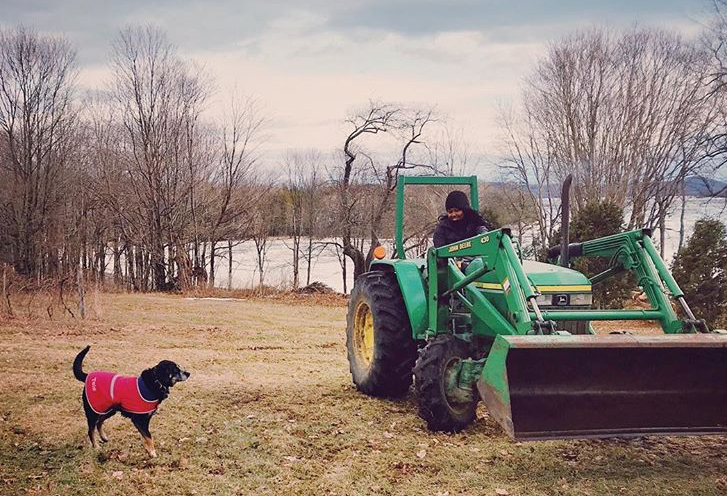 She has web design gigs that help to keep things upright, but it’s clear she has a real desire to step away from the keyboard and sink her boots even deeper into Vermont’s complex soils and the communities that grow from them. Winery start-ups are so often the province of folks in their second careers or retirements, taking a swing at things that they’ve not done yet. Yet, it’s the young people who dedicate themselves to the vines and the path of fermentation as a primary objective who may have the greatest potential to light a wine future that is not yet imagined. She’s been an adept acolyte, embraces acidity, loves La Crescent and is fascinated by cider. She’s enchanted by the slow, cool, steady ferments that she still sees proceeding in Vermont cellar vessels; a near hibernation state that dreams of being sinewy aromatics and textural complexity. As assistant winemaker, she was afforded the opportunity to organize a handful of project wines that were elevated at la garagista. Proprietor Deirdre Heekin is keen to support the endeavors of those who both see and understand the great potential of a natural path to cold-climate wines, not as a novelty but for intrinsic quality. Krista was invited and recently participated in a young winemakers panel at the recent USBevX in Virginia, and she will shortly be pouring barrel samples of those wines at the booth next to her mentor at Ordinaire’s Brumaire event back home in California. She is in the works to release her own label “ZaFa”, with bottlings from both Vermont and Texas. Krista has also recently signed on to manage a vineyard on Lake Champlain’s South Hero Island for Ellison Estate, the new owners of the plot previously tended by East Shore Vineyard. She’ll consume a portion of the fruit for her own project, and the rest will go to select commercial Vermont operations, that are seriously interested in fruit from non-conventional viticulture. There’s also an allotment planned specifically for amateur, home vintners in an effort to help propagate the concept of this new cold-climate fruit reality. Winter is showing signs of giving way to spring, and she’s out pruning in the alternating raw cold and growing sunshine, helping to convert the Ellison vineyard completely to top wire cordon, for its generally maximized ratio of labor input and proper crop. She knows she still has a lot to learn, as do we all, on this cutting edge of cold viticulture. When friends ask when she’ll move back to California to make wine there, she has to admit, she’s not that interested.